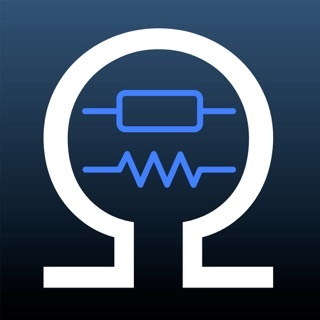 This is the highly recommended and praised Function Generator App - an amazingly great and powerful tone generator. Enriched with a vast amount of features yet it is extremely intuitive and designed for simplicity. Get to know this great App now! It is very well maintained and has received considerable upgrades over the past years. So, … what can you do with this App? • PLAY TEST TONES Sine, Rectangular, Triangular and Sawtooth. • PLAY FREQUENCY SWEEP TEST TONES in both directions (minimum to maximum frequency and maximum to minimum frequency). • PLAY VOLUME SWEEPS (from minimum to maximum volume). • Try the SWEEP REPEAT / WOBBLE function. • Try the MUSIC TONES PLAYBACK. • Experiment with the huge FINE TUNE SELECTON, PRESETS SELECTION! • Or create your own CUSTOM PRESETS! • And SAVE an endless amount of CONFIGURATIONS (Frequency, Sweep, Noise) for later quick access and direct playback function. • Even play back different kinds of NOISE – White, Pink, Violet, Grey, Brown, Blue is also supported. The Function Generator is AMAZINGLY INTUITIVE and SIMPLE! - new Click Track Generator! Now there is a new tool for generating click tracks that are super useful when measuring the latency in a multiroom setup. The click track itself is always 23ms long. The duration between the clicks can be fine-tuned between 23ms and 10 seconds. - new "Play All / Play Sets" menu available for the MultiTone generator. Either play ALL tones at once. Or select individual tones per each of the available sets and play them separately. - updated navigation menu. The settings menu is now integrated in the sidebar menu (top right burger button)! The bottom bar provides quick access to all the tools. And the sidebar menu provides access to Settings, About section, Tutorial and the rating button. - native support for iPad 11"
Clear and Easy to use. Works perfectly with full range of frequencies! I am a movement specialist and kinesiologist. I use this app to stimulate the vestibular system for different reasons and I also use it to do my own rehab. Best app I've seen yet!! I had purchased another app that was 10x more expensive than this one and it does not even compare. Function Generator allows me to change the settings so I can individualize the therapies on my clients. GREAT App. Highly recommended!